Whether it is a wedding you need to go to with your friends and family, your greatly anticipated school ball, a concert, a visit to the delightful Swan Valley for some wine tasting or just a lovely night out. With Kombi Hire Perth, every individual’s desire to make their special events as memorable and impeccable as possible, can work out as expected! As the name proposes, we can provide our clients with Volkswagen Kombi, as a Limousines or wedding car to cater for your transportation needs. 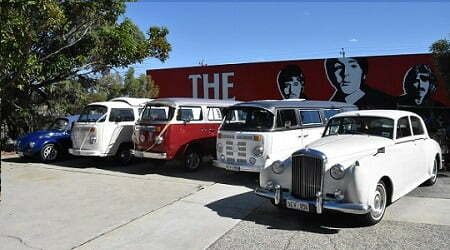 Kombi Hire Perth offer a range of services to look after all of your transportation needs. Our Drivers are always polite and professional, here to help you with all your needs throughout the service. They are always on time at any place, whenever and wherever you want in Perth. We have built trust and respect over a period of time and that is the reason why we are the kings of cruising. We understand your excitement when planning an event and don’t want to let that come down, instead, we will take it higher. To have that experience all you need to do is to contact us here at Kombi Hire Perth. No matter your event, location or other, we can tailor a package and price that suits to no one else except for you. We are industry experts backed by experience. We gladly claim to give you the best kombi hire service and we are certain that you will love it. This certainly is on account of years of sumptuous drives given to our clients with one of a kind experience. Our drivers are extremely proficient, amiable and always on time, whenever and wherever you need them in Perth. We have the best cost alongside the best vehicles that are accessible available. 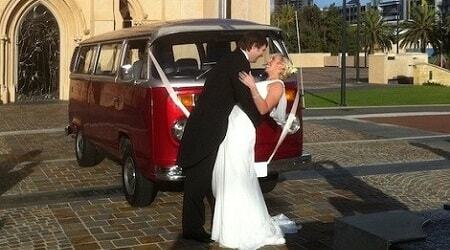 We can proudly claim to give you the best services available from Kombi Hire Perth. We have a very premium class VW Kombi complete with all the features you could dream of. I was worried about my wedding event that I planned for the beach. But hiring the Kombi from Kombi hire Perth solved all my problems, all of us loved the Kombi with all the amenities inside. At a very reasonable price we enjoyed the wedding on the beach and the Kombi added much grace to the pictures. We hired the Kombi for the night out and we were not expecting so much of the party environment inside, but as soon as we entered the vehicle we started grooving. There was so much of a positive vibe because of the interior and the awesome sound system. My friends and I didn’t want to step out of it, such a blasting experience. I would like to thank Kombi hire Perth for understanding my needs and providing me with what I needed. Thank you for a beautiful day. Highly Recommended. It was my anniversary and I wanted to make a special night for my boyfriend. I called up Kombi Hire Perth and they were so sharp on time, the driver was well dressed and welcomed us with a smile. The Kombis looked lovely from the outside and was equally matched on the inside. One of our best anniversaries to date. We had an unreal time cruising around Perth in the back of the kombi. With such great value for money (much better than the limo companies) we look forward to more awesome transport service. Running through the swan valley was one of the most gracious experience, the ride was smooth and hassle free and it was soothing. The driver gave us all the necessary information and facts we needed to know and his polite behaviour attracted us all. 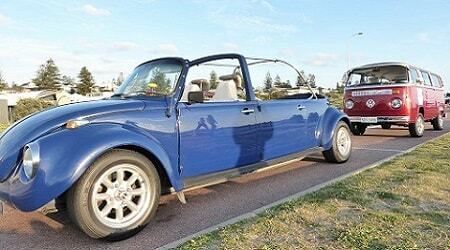 Kombi Hire Perth offers a range of services to look after all of your transportation needs. VW Kombi body with a Subaru boxer engine, quality sound system, superior paint job with matching interior, leather seats, a TV, party lighting and many more flash features that will have you speechless. Imagine a night out on a friend’s birthday, with you all inside the cool customized vehicle celebrating on the go with your favourite music, champagne and more. There is nothing that will stop you from enjoying it to the fullest. We have built trust and regard over a period of time and that is the reason behind why we are the Kings of Cruising. Thousands of residents in the Perth metro and surrounds have been blown away by the proficiency and class of our service. 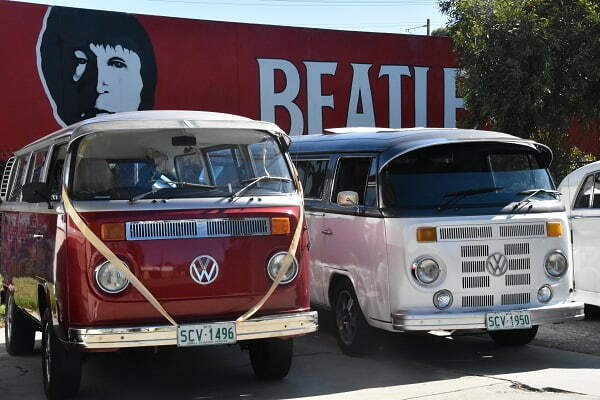 We consider the value of your excitement and sentiments as you plan the ideal event so, next time whenever you arrange an occasion search no place other than Kombi Hire Perth: The Kings of Cruising.